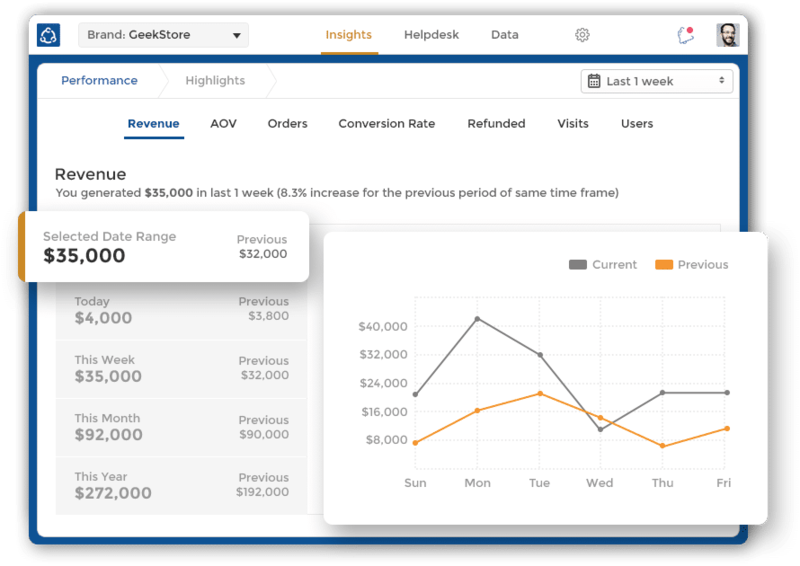 Say goodbye to the old, generic CRMs. Switch to the CRM designed from the ground up for B2C businesses. Why do you need a special CRM if you are a B2C business? Traditional CRMs were designed to manage B2B relationships. 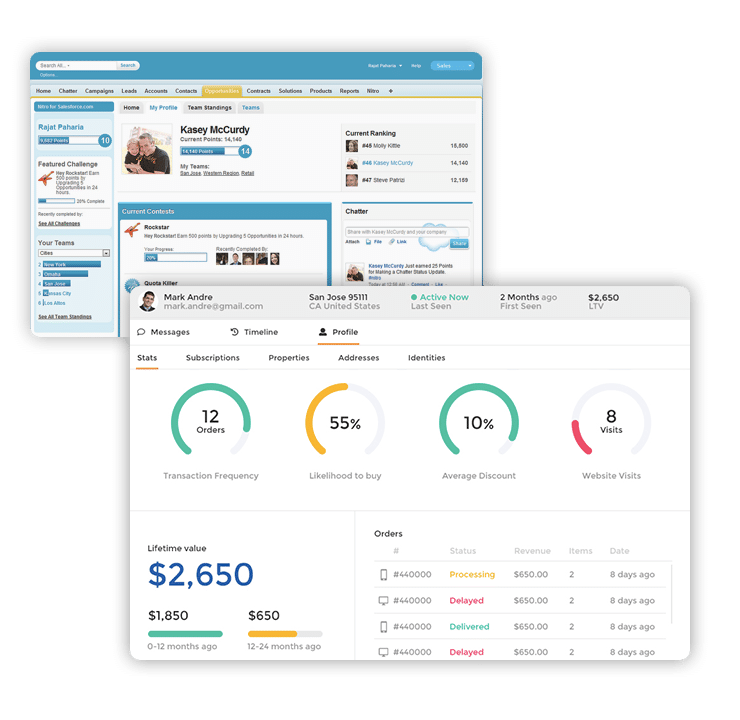 These CRMs were modeled to enable sales reps to log account activity and manage 1:1 client relationships. The needs of a B2C business are entirely different. A B2C businesses will have Thousands and if not Millions of customers. A B2C CRM should be able to capture customer signals by combining website activity, email and content interactions and transactions. Businesses today are constrained by the gap that exists between data and apps. Richpanel eliminates that gap by bringing your customer data in one single platform, empowering teams to be in complete control of their data. Richpanel organizes all your data in a simple, easy-to-use workspace. Empowers your team to personalize each interaction and leave lasting impressions. 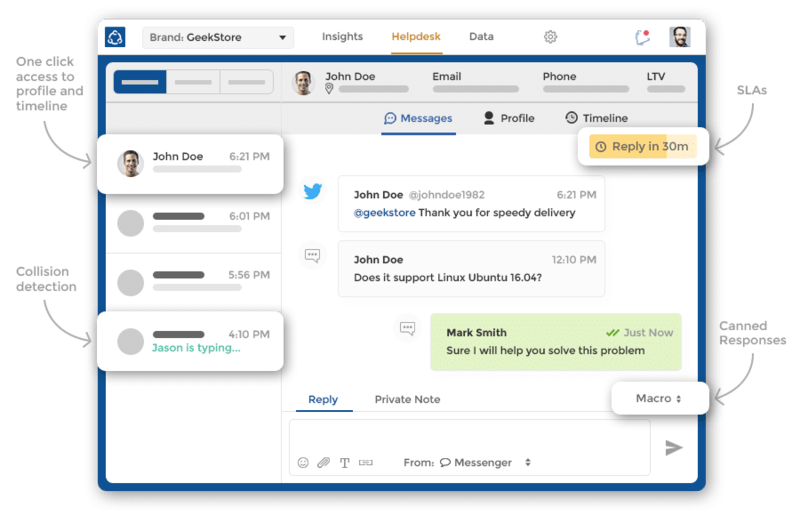 Manage customer messages from email, social and live chat all in one shared inbox. Boost team productivity with intelligent assignments, qualifications and automations. 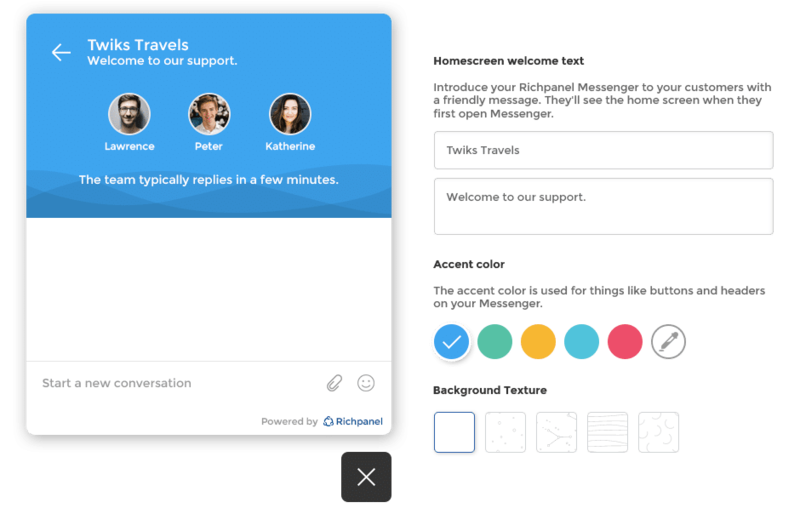 Offer support and guide customers during critical moments with a modern messenger on your website and apps. 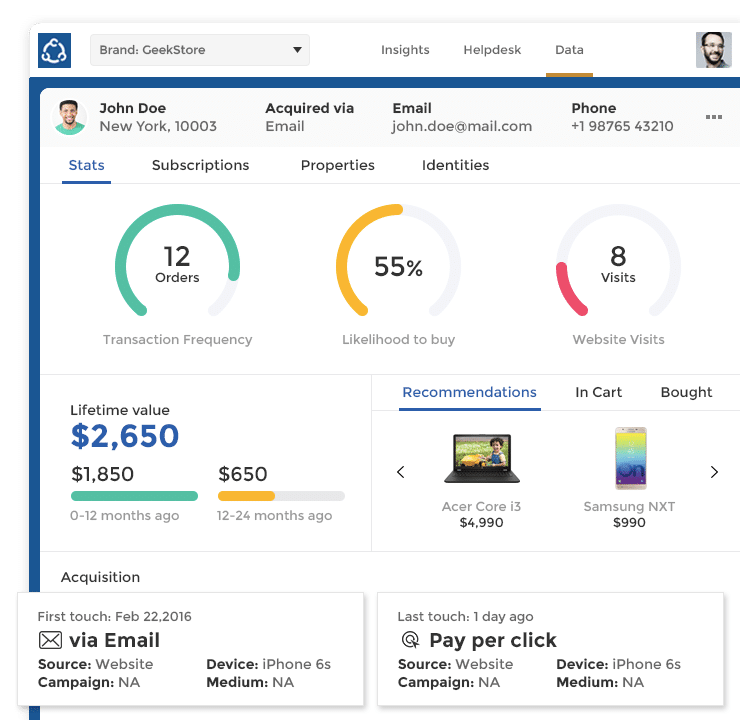 Richpanel puts machine learning to work on historical data to tell you exactly what actions will influence first purchases, repeat purchases, customer loyalty, average order value and suggest next best actions for each segment. 1-Min setup. No credit card required.